Item # 318740 Stash Points: 4,495 (?) This is the number of points you get in The Zumiez Stash for purchasing this item. Stash points are redeemable for exclusive rewards only available to Zumiez Stash members. To redeem your points check out the rewards catalog on thestash.zumiez.com. 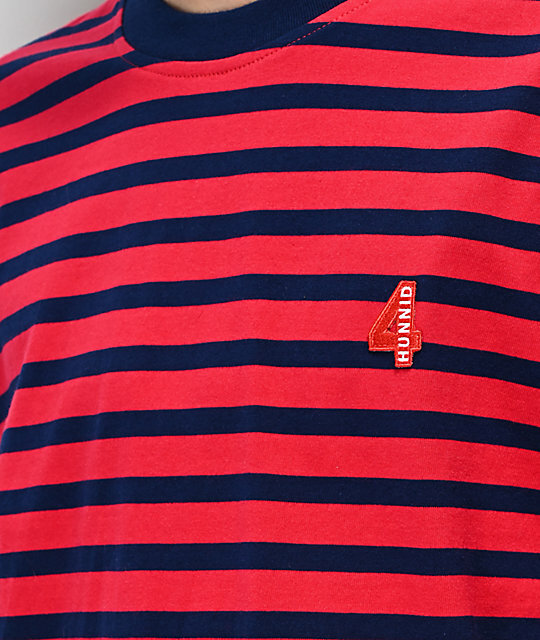 Give your daily looks some colorful style and classic pattern with the 4Hunnid Red & Blue Striped T-Shirt. 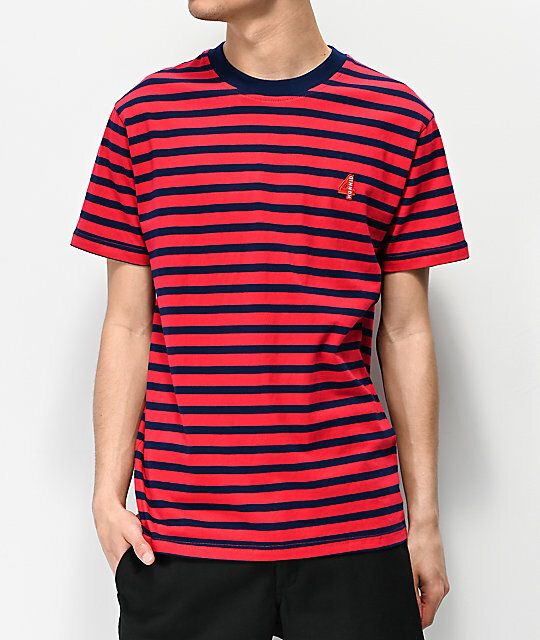 Featuring an embroidered 4Hunnid logo at the left chest along with red and blue horizontal stripes throughout, this colorful shirt is an ideal statement piece for any daily look. 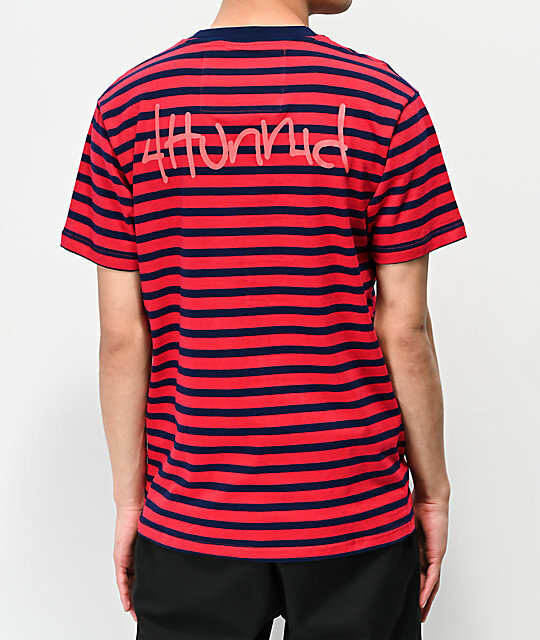 Red & Blue Striped T-Shirt from 4Hunnid. Red and blue horizontal striped design throughout. Logo graphic embroidered on the left chest.